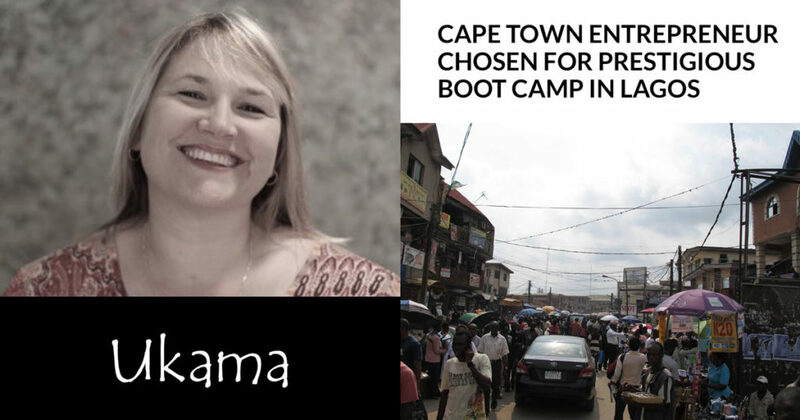 Ukama’s own Janine Roberts was one of the 31 South African entrepreneurs chosen by the Tony Elumelu Foundation to participate in their entrepreneur boot camp program. Listen to the Capetalk’s Breakfast with Kieno Kammies interview where Roberts talks about the road that lead her to this moment, and her experience in Lagos. Roberts started a social entrepreneurship project in Muizenberg’s Capricorn Park 8 months ago. She hires micro-entrepreneurs in the surrounding areas to pack dry food. An impressive example of social entrepreneurship and partnerships within micro-enterprise, her company has created 60 stable jobs, in just 8 months – mostly for women in the area. It was really amazing – the first time that I have traveled into Africa. It was a great experience for me and highlighted the need for more programs like this on the continent. Tony Elumelu is one of the continent’s richest individuals, who sees the need for the upskilling of entrepreneurs, and expands his reach across the continent. 1000 entrepreneurs from 51 African nations took part in the boot camp, and they all converged in Lagos this weekend, for a massive caucus and networking session. Visit Cape Talk to listen to the full conversation with Udo Carelse. This entry was posted in social entrepreneurship and tagged community, entrepreneurship, Janine Roberts, micro-enterprise, south africa, Ukama. Janine Roberts from Ukama Holdings, talks about giving Vrygrond township the chance to do so much more!